"O" What a Ride: Kickoff to summer! Tuesday was the first official day of summer vacation. The heat is coming, and we are trying to take advantage of the last few "cool" mornings. Off to the zoo with the Whitson's we went! William is such a good buddy to the little guys. Lily and Kate taking a break from the heat. Lots of giggles from these two! 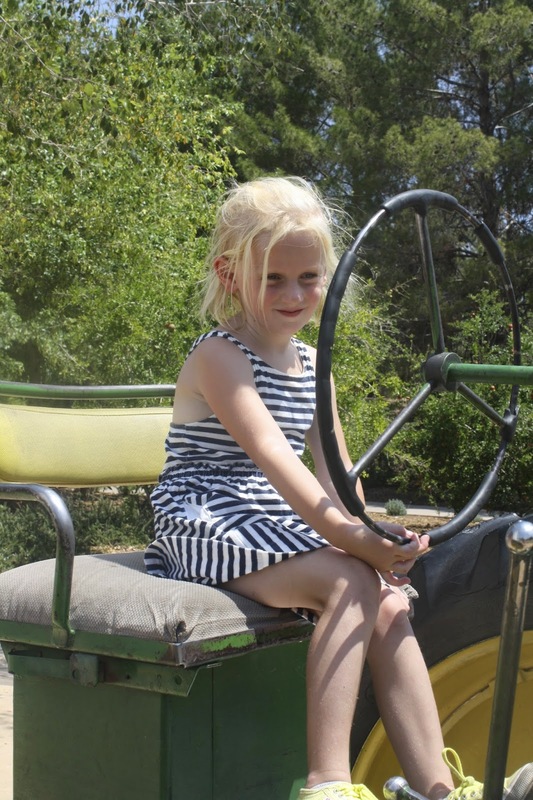 Lily is practicing her tractor driving skills for her trip to KS this summer.